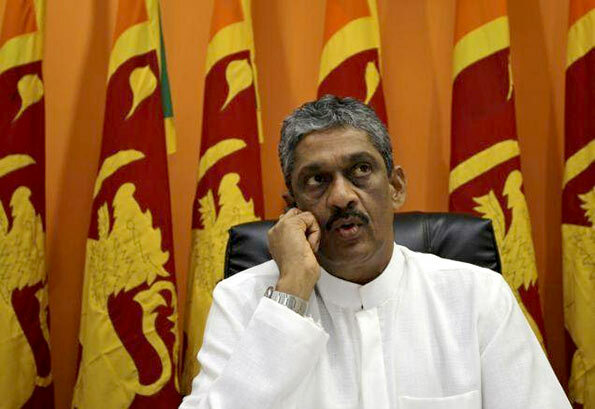 Democratic Party founder and former SLA Commander Sarath Fonseka on Saturday, offered himself to face a domestic court of law on allegations against military operations during the Eelam War. He was responding to a query whether he was wiling to face enquiry in the wake of the publication of a report of the Office of the United Nations High Commissioner for Human Rights Investigation on Sri Lanka (OISL). Mr. Fonseka, who headed the SLA between December 2005 and July 2009, also wanted those who were his colleagues in the Army to cooperate with the authorities concerned. He said that if credible evidence was available, investigation should be done; due process of law be followed and those found guilty be punished. The former Army Commander recalled that when the Indian Peace Keeping Force (IPKF) was here in Sri Lanka between July 1987 and March 1990, there were “enough complaints [against it].” He added that a section of those who went through detention during the Eelam War must have indulged in “propaganda” against the Army. Nevertheless, he did not reject all the findings made by the UN report. He favoured a domestic investigation mechanism. To support this point, he also referred to the death sentence awarded by the High Court of Colombo in June to a soldier of the SLA in connection with a murder of eight internally-displaced Tamils in Northern Province in December 2000. Of course, his conscience must be clear. When the war was ending (May 19, 2009) he was holidaying in China. Shrewd enough to be not responsible for the last minute massacres?